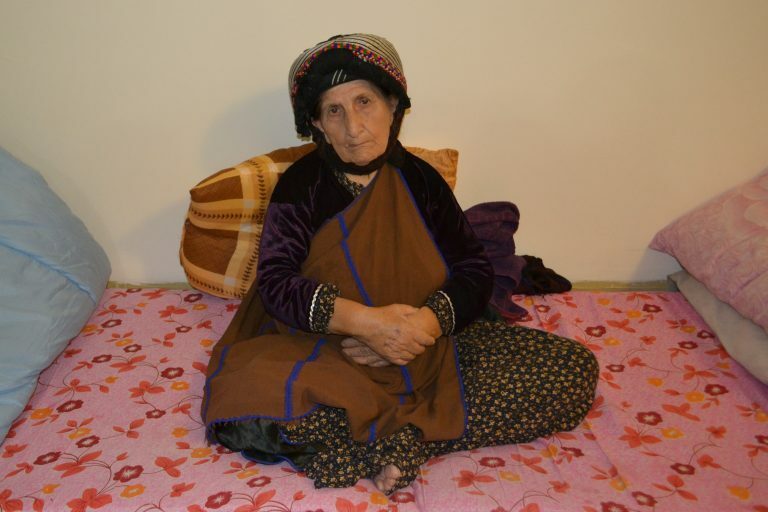 Gazella is an 80 year old lady who lives in Iraq. Aid to the Church in Need met Gazella and her friend when on a project trip to Ainkawa in Iraq. Gazella told of how Daesh (ISIS) had invaded Karamlesh, where she and her friend lived. Terrified to venture out of their homes, the two women locked themselves indoors for four days. IS forces found the women in their homes and rounded them up at St Barbara’s shrine, along with another dozen remaining Christian inhabitants of the village. “You must convert” demanded IS forces, “Our faith can promise you paradise”. Gazella and her friend responded saying “We believe that if we show love and kindness, forgiveness and mercy, we can bring about the kingdom of God on earth as well as in Heaven. Paradise is about love”. The women went on to say “If you want to kill us for our faith then we are prepared to die here and now”. IS forces had no answer to what the women said and astoundingly the captured Christians were let go. Gazella and her friend are still neighbours to this day, but they no longer live in adjoining houses in Karamlesh. Due to the invasion of IS forces and destruction of homes, they now live on two mattresses in a room they rent courtesy of a church in Ainkawa, near Erbil, Iraq.